LUCY BURDETTE: I love salty chips and dips--good old Ruffles and Lipton onion soup dip to me are heaven! But they do not love me. So when it was my turn to bring a nibble to a party, I started thinking about whipping up something slightly sweet instead of savory. I wanted a dip that would go with Stacy's sugar cinnamon chips (my new addiction.) This couldn't be easier and better and yet, everyone liked it! 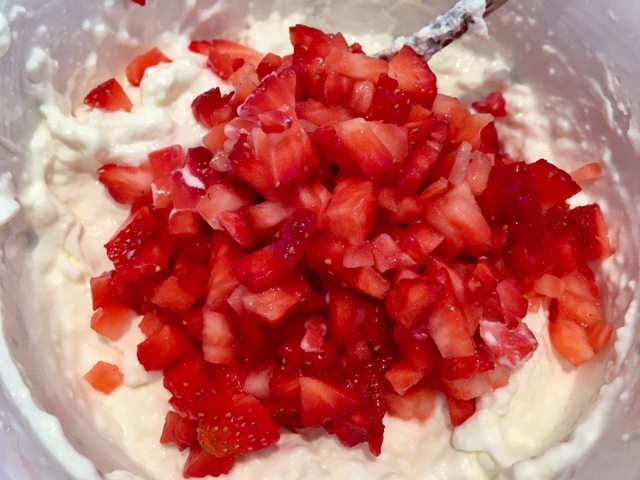 Chips and fruit for dipping Mix the cream cheese with the yogurt and stir in the chopped strawberries. Taste, and add honey according to your sweet tooth. My strawberries were not completely ripe and sweet so, I added a teaspoon. 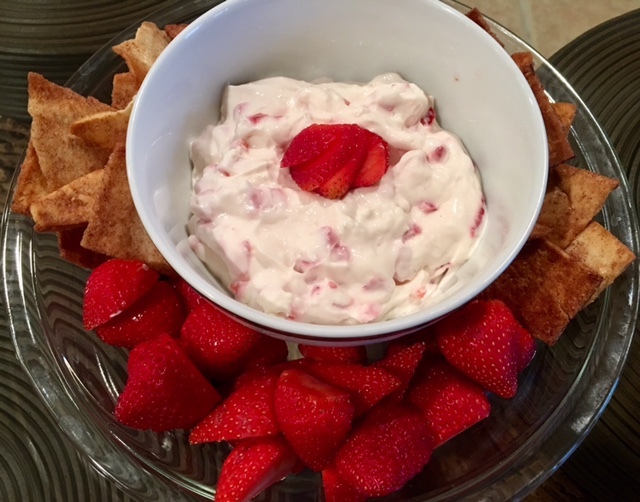 Serve the dip with cinnamon sugar chips or plain crackers or fruit such as strawberries halves and chunks of pineapple. And it's so easy, you have time left over to read--or write. 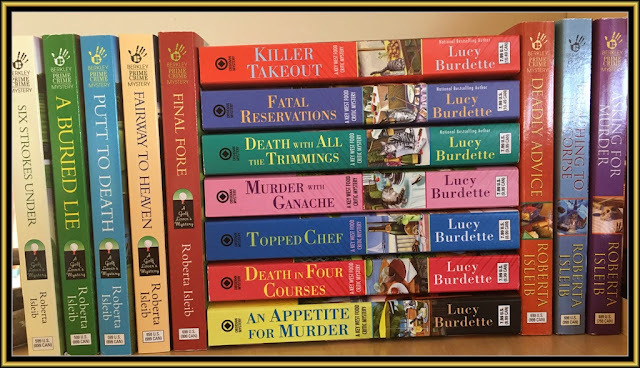 And I am writing a brand new Key West food critic mystery...hooray! 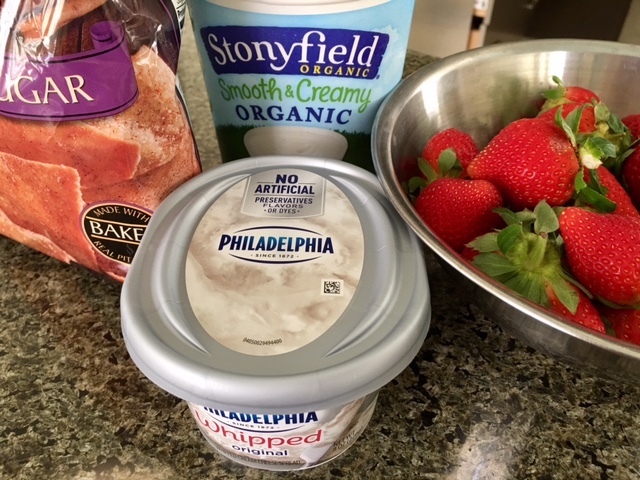 Your strawberry cream cheese dip sounds wonderful -- I can't wait to make it. I hope I can find the cinnamon chips! Wow. The essence of tasty simplicity! Hm...maybe a smidgen of minced mint? thanks ladies! I've seen the chips more often lately Celia, so hope you find them! Libby, hadn't thought of mint--that sounds good!